Lock in a great price for Park Dedeman Levent – rated 8 by recent guests! All of it .. great stay and great people and staff.. Location, staff, the rental car office was perfect in the lobby. The location is placed in Levent, one of the most prominent areas in Istanbul. The metro is 4 minutes walk, and you have 3 malls in walking distance. The staff is good and very helpful. The rooms are clean, and 4-stars standard. Close to everything, including malls, the metro and the airport. Very clean and nice breakfast, friendly and helpful staff... furniture is beautiful and high quality. Park Dedeman Levent This rating is a reflection of how the property compares to the industry standard when it comes to price, facilities and services available. It's based on a self-evaluation by the property. Use this rating to help choose your stay! One of our top picks in Istanbul.Park Dedeman Levent is located conveniently in Levent, which is one of the major commercial districts of Istanbul. Free WiFi access is available. Each room features modern decoration with a touch of Ottoman and Seljuk architecture elements. Rooms are also air conditioned and equipped with a flat-screen satellite TV, telephone, safe box, iron and a desk. Coffee&tea setup in the rooms are refreshed daily and some rooms also have a Nespresso Machine. Hotel's restaurant, Butcha Steakhouse serves a fine selection of à la carte dishes. Beverages refreshments and snacks are available in Park Kantin. Dry cleaning, ironing and laundry services are offered by the property. An airport pick-up service is also available at an extra charge. The property is within walking distance of multiple shopping malls and plazas. Metrocity and Kanyon shopping malls are within walking distance and Istinye Park is within 3 mi of the property. 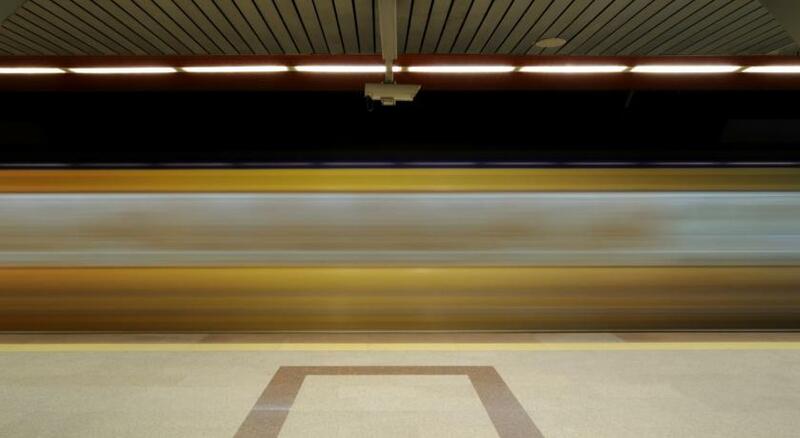 Levent Metro Station is 150 feet away. Ataturk Airport is 15 mi from hotel while Istanbul Airport is 29 mi away. When would you like to stay at Park Dedeman Levent? This air-conditioned bright room features a décor combining contemporary accessories with Seljuk and Ottoman miniature art. Featuring city views, it comes with an LCD TV with cable channels, DVD player, fridge, coffee and tea maker and a pillow menu for your comfort. Private bathroom has a rain shower and slippers. You can also find a safety box, iron and iron facilities in the room. Extra beds and children cot are provided upon request. A comfortable stay is enhanced with the minimalist elegance and colorful city views in the Deluxe Rooms, where only king bed option is available. These rooms also offer a electric kettle, satellite TV and air conditioning. Featuring city views, it comes with a DVD player, fridge, coffee and tea maker and a pillow menu for your comfort. Private bathroom has a rain shower and slippers. You can also find a safety box, iron and iron facilities in the room. Extra beds and children cot are provided upon request. This bright suite includes a seating area, Nespresso coffee machine, Bang&Olufsen sound systems and world-famous Molton Brown bathroom amenities. The sopishicated décor includes Vakko’s custom-designed home textile products. Featuring city views and a seating area, it comes with an LCD TV with cable channels, DVD player, fridge, coffee and tea maker and a pillow menu for your comfort. Private bathroom has a rain shower and slippers. You can also find a safety box, iron and iron facilities in the room. Extra beds and children cot are provided upon request. This bright room features a décor combining contemporary accessories with Seljuk and Ottoman miniature art. Featuring city views and a seating area, it comes with an LCD TV with cable channels, DVD player, fridge, coffee and tea maker and a pillow menu for your comfort. Private bathroom has a rain shower and slippers. You can also find a safety box, iron and iron facilities in the room. Extra beds and children cot are provided upon request. This family room has a soundproofing, flat-screen TV and electric kettle. Please note that early check-in and late check-out up to 2 hours are included in this room type. An extra bed will be provided if the guest number is 5. Located in the heart of Turkey’s trade capital Istanbul’s central business and shopping district Levent, Park Dedeman Levent stands out as one of the city’s leading buildings with its LEED Silver certified environmentally friendly construction. House Rules Park Dedeman Levent takes special requests – add in the next step! Debit card Park Dedeman Levent accepts these cards and reserves the right to temporarily hold an amount prior to arrival. Park Dedeman Levent accepts these cards and reserves the right to temporarily hold an amount prior to arrival. Please inform Park Dedeman Levent of your expected arrival time in advance. You can use the Special Requests box when booking, or contact the property directly using the contact details in your confirmation. The stay was wonderful with all the amenities available and the location is superb, with close proximity to the metro and malls. Breakfast choices are not good and most days the coffee was not hot. Staff was not helpful. The hotel was very crowded. There was live music on Saturday night in its restaurant and you need to wait it until midnight for sleeping. Only its location is very convenient. The rest of it is just a regular hotel. The breakfast (choice of food, cheese, etc.) could have been better. Very spacious room with ample space to work, comfortable bed, very centrally located in the Levent area, very close to the metro and the Kanyon shopping mall. Good wifi all around and also great reception staff! Everyone was really nice and friendly and the location was brilliant.